This is it! The Final Leg begins as teams must fly from Kuala Lumpur to Manila on the way to their final destination, the province of Isabela. 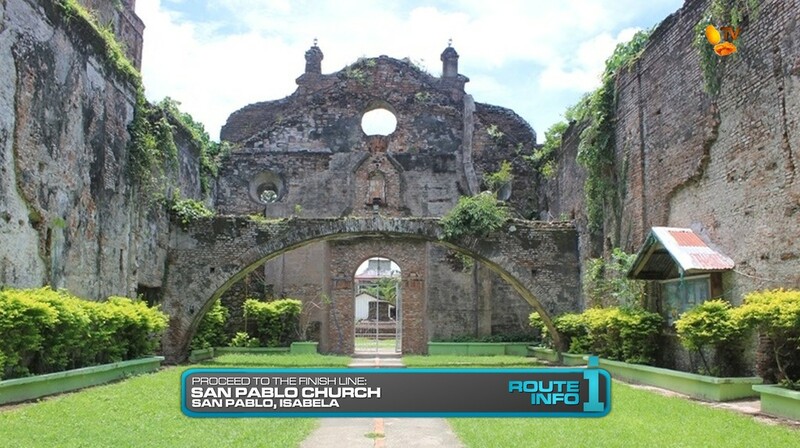 Arriving in Cauayan at 10:15am, teams must make their way to the Santiago City Water Tank to find their next clue. And that clue reveals the Road Block: Who is feeling like an artist today? The Road Block count by now should be 6-5, so the team member with only 5 Road Blocks MUST do this one. 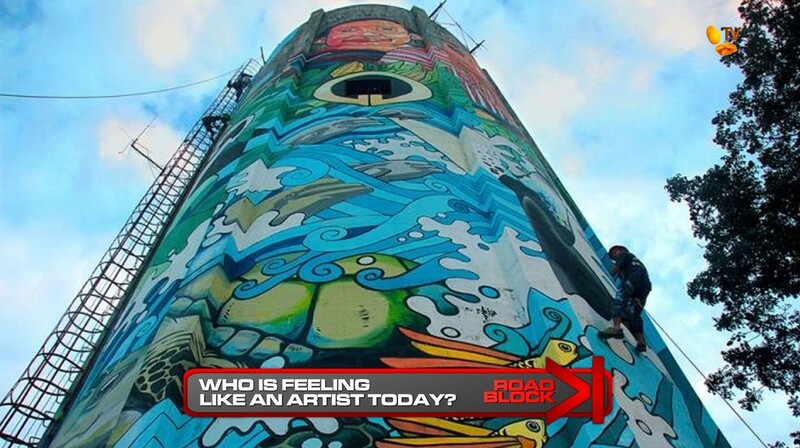 For this Road Block, teams will climb up this water tank-turned-art project using the same methods as the artists who painted it to retrieve their clue waiting up top. 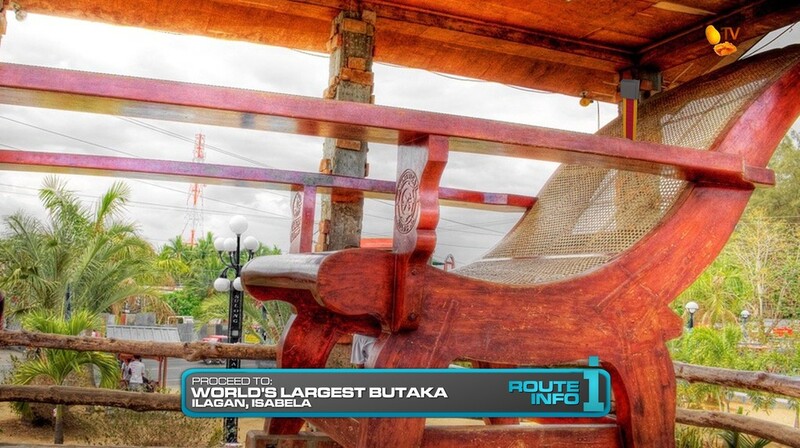 The next clue points teams to the cluebox at the World’s Largest Butaka in Ilagan City. 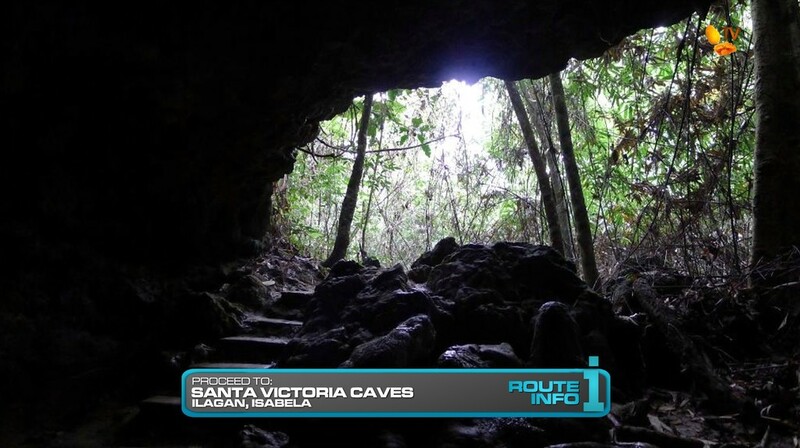 That butaka clue directs teams to the Santa Victoria Caves. 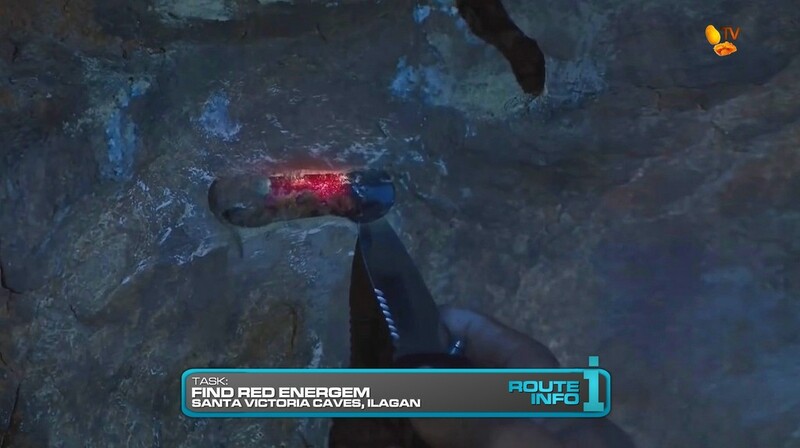 Here, teams must search the caves for one of three glowing red Energems, chip it out of the rock face and exchange it for their next clue. Teams must now make their way to the Abuan River. 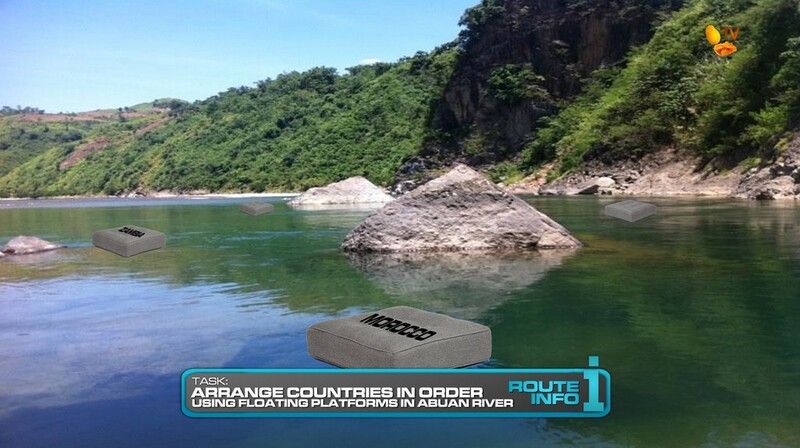 Here, teams must hop into a canoe and then swim into the river to retrieve 11 floating platforms containing the names of the 10 countries (two for the Philippines) they visited on the Race. Once they’ve collected all 11 platforms, teams must arrange and clip them in the correct order they visited them to receive their next clue. The next clue points teams to the Isabela Sports Complex where they will be joining the ongoing Bambanti Fesetival. And here, they will find the Final Road Block of the Race: Our Hats On To You. With the Road Block count now at 6-6, any team member may complete this task. 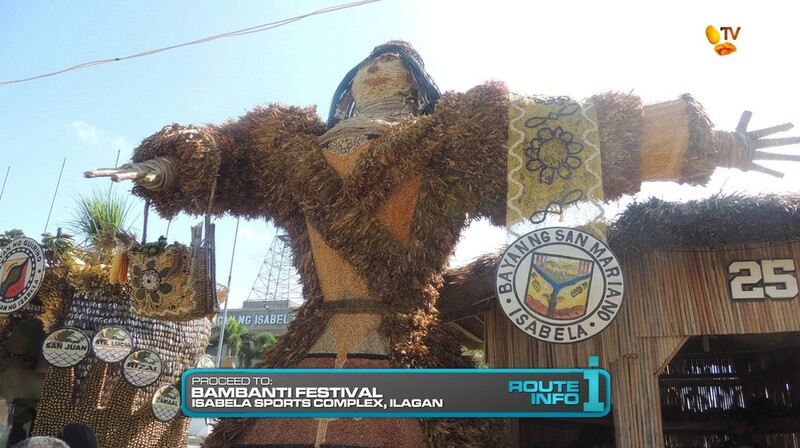 The Bambanti Festival is celebrated annually to honor Isabela’s bountiful harvest and features elaborate scarecrows of various sizes and made of various materials. 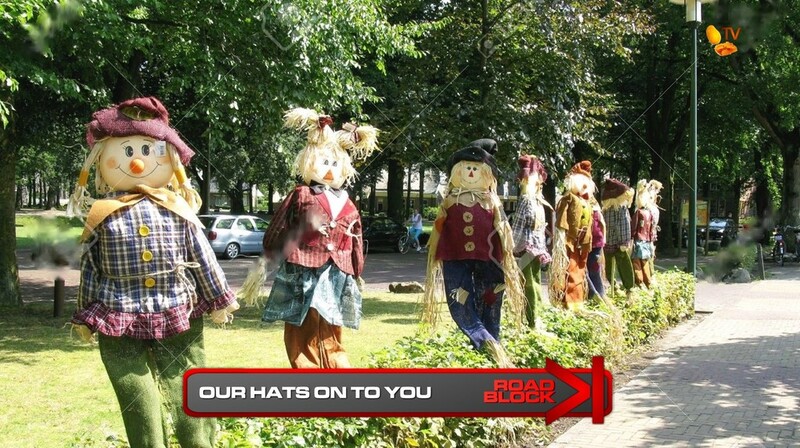 Teams will search through a pile of hats and headpieces and place them in order using a row of 11 scarecrows. Once teams have the correct hats, they will receive their final clue. 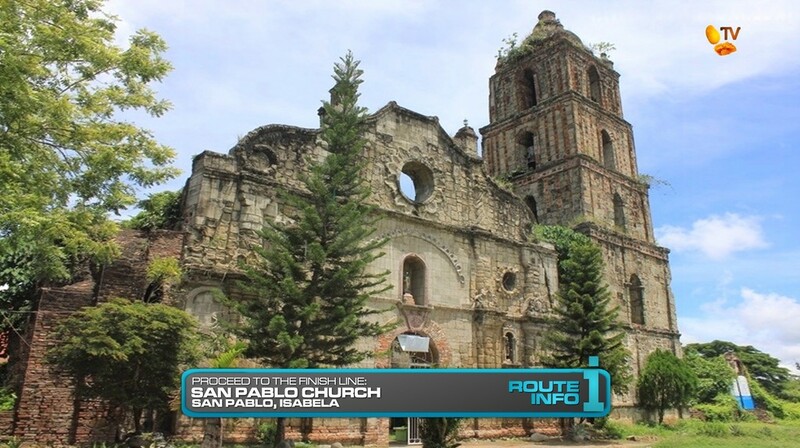 Teams will now be able to make their way to the Finish Line at San Pablo Church in San Pablo, Isabela. The first team to cross the Finish Line will win two brand new 2016 Kia Sorentos, two brand new, fully furnished House and Lots from RCD Royale Homes, a Samsung Galaxy S6 and Galaxy S6 Edge with a year of unlimited minutes, messaging and data from Smart, a trip for 4 to any of the countries they visited this season courtesy of Travelocity, one year of free Jollibee worldwide AND P2 million courtesy of PLDT Home Telpad!!! Woohoo! Another “successful” season of TARPHDM. So Isabela it is. The Bambanti Festival was the first thing I found in Isabela that would be perfect for a Final Task. 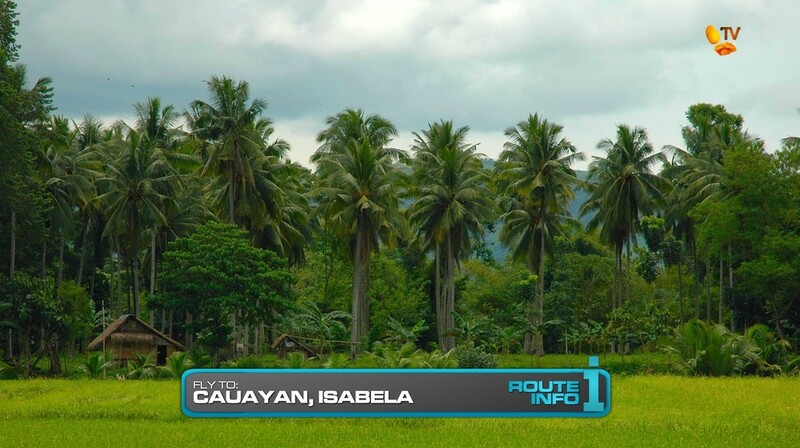 But I had trouble finding other things to do in the province that were within a reasonable distance from Cauayan. I didn’t have any extreme task in the Batanes Final Leg for TARPHDM2. (There seems to be at least one high-flying task in all Final Legs.) But I was happy to find that they can set up a rig at this water tank in Santiago City for teams to climb up. Pretty solid task and it reminds me of the Coit Tower Road Block in San Francisco. The Abuan River sort-of-memory task is inspired by a task from the Korean reality show The Challenger on KBS three years ago. They regularly used floating cushion things for different tasks. So I thought it would be good to have a similar use here. It’s a simple, straightforward Route Info task. Teams shouldn’t have trouble putting the countries in order or remembering which countries they visited. The challenge here will be needing to find the floating platforms they need around the river. So in that sense, this is more a physical task than mental task. The real mental task is the final Road Block. Drawing from past TAR final memory tasks, this one (inspired by TAR17 as well as TARAu3) has teams needing to remember the Pit Stop Greeters and what they were wearing. This might be pretty difficult as they’ll have to dig through a huge pile of different wacky hats. It might very well be the deciding factor in who wins the grand prize. Now the Finish Line location is kinda iffy. It’s a perfect location, visually. They could have the Finish Line right in the front of the church. That would be some great visuals I think. 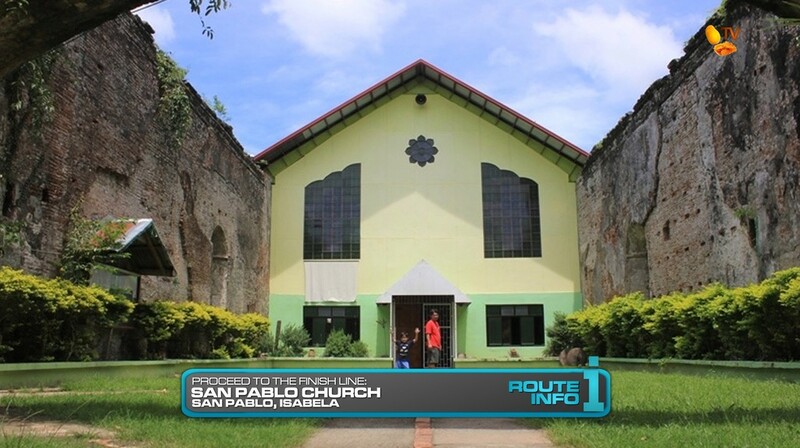 The only problem is the church is about an hour away from the Isabela Sports Complex. Is that too far a distance? It seems like it. I see most of the recent TARUS finales have the final clue and Finish Line at most 30 minutes apart from each other. So that’s an interesting consideration to have here. Maybe one more Route Marker or task in between somewhere. I thought maybe a simple task or cluebox at Tumaini Church which is halfway between the Sports Complex and San Pablo Church. But church to church as the last two Route Markers might be too repetitive. Otherwise, I ended up really liking this Final Leg. It has some interesting tasks that can really challenge teams while fostering good and exciting competition. And another season is done! That brings this “Visa Free Era” of TARPHDM to a close. Get ready for some bigger and better countries in future seasons (should TARPHDM be renewed lol).